The world of the 21st Century is such a fast moving place, with constant emails to respond to, snap chats to snap, Facebook posts to write and selfies to take. So, now more than ever, we need to stop. Take time out. Put that mobile phone or iPad down, out of sight, relax and enjoy a world of peace and calm as 15th August marks Relaxation Day. Many of us may remember a time before mobiles, yes that's correct, there was a time before mobile phones, and no believe it or not it wasn't prehistoric. Just twenty years ago mobile phones only belonged to the rich and famous and were the size of a house brick. (Picture Dom Jolly, "hello, I'm on the train", you know the ring tone, dede derr derr, dede derr derr, dede derr derr derrrrr). Gone are the days of receiving a letter in the post or the anticipation of receiving your processed photographic film that had sat around in your camera for 12 months for you to forget what was on it. We're now living in a much more instant environment. Here we take a look at the importance of taking the time to relax in an ever-evolving world that is often tricky to get off, and the general benefits to both your work and social life. The key to many a success is good communication. This may sound straight forward, but how many of us of late have noticed the dying art of having a conversation? We’re not talking via, messenger or what’s app, just a good old fashioned face to face conversation. Next time you are out in a café, down the pub or simply walking down the street, take a look around and observe just how many folk are face-down in their mobile phone. Sat opposite their best mate or other half and each have Facebook in one hand a choco mocha latte in the other. Scooby Doo could be sat opposite yet we're still oblivious, absorbed in a cyber-world of likes and shares. Why not make the decision to have a mobile-device-free hour or evening (it is possible), once a week and fully enjoy and appreciate the company of those physically sitting beside you. Many relationships have been the victims of social media overload. Don’t let it be the be all and end all of your world. So, we've looked at making space in your social life, few of us are fortunate enough to be men or ladies of leisure so what about relaxation within the work place? With ever-increasing workloads and targets to meet it is no wonder that there is no decline in illness caused by or worsened by our jobs. 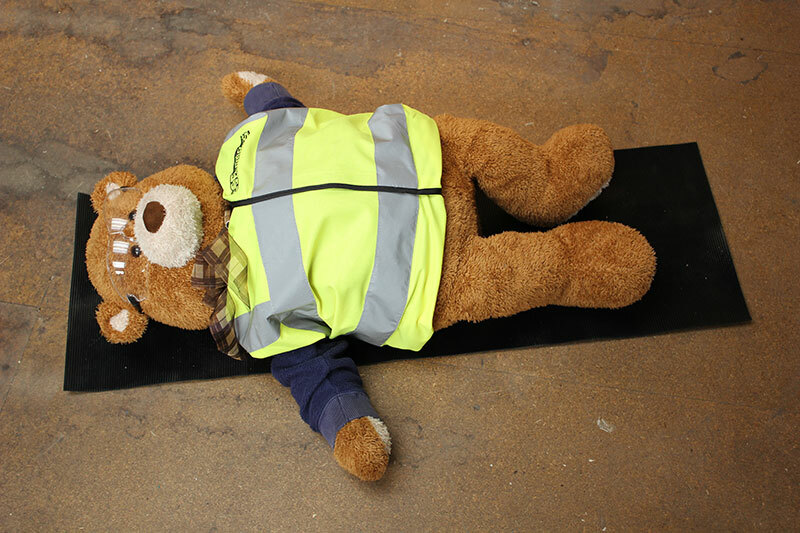 According to the Health & Safety Executive, stress was accountable for 37% of ill health cases reported during 2015/16. What can we do to help combat this stress? If you are feeling wound up or stressed, take a minute and walk away, try to remove yourself from the situation, go to the photocopier, or water cooler, take a couple of deep breaths and reassess the problem. Talk to somebody about your troubles, like we mentioned earlier, good communication is a large contributing factor to health and happiness. Take a proper break. It's all too tempting to eat your lunch at your desk. Not only is this bad for your waistline, it's bad for your eyes (a five minute break away from your monitor is recommended every hour). 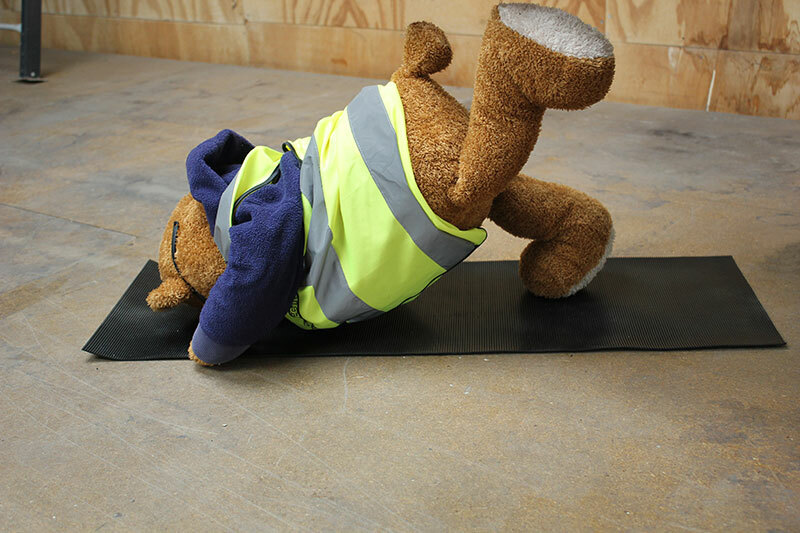 We understand this isn't always possible which is why taking a proper lunch break is paramount. Why not go for a walk, get some fresh air and exercise, arrange to meet up with a friend and leave work behind for a while. 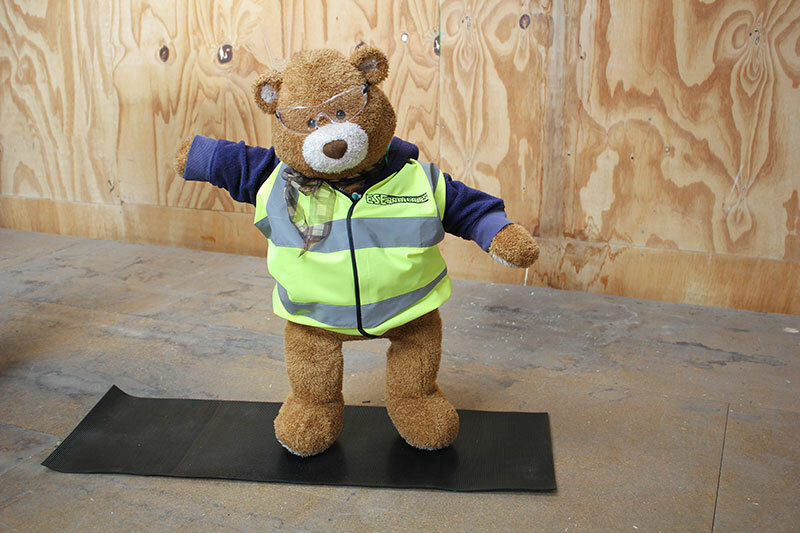 You may have seen our resident friend Health and Safety Bear. 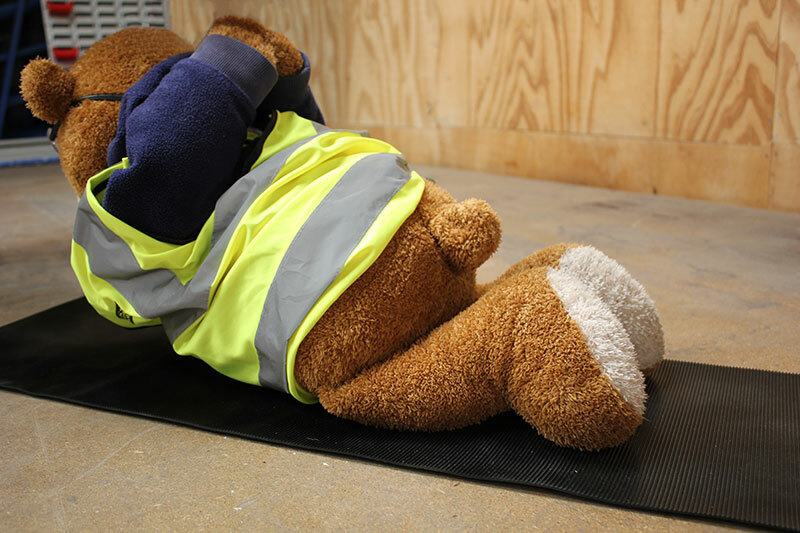 He’s a fan of Yoga to help him relax. This is just one alternative way to expand your mind and body. It doesn’t need to take hours either. 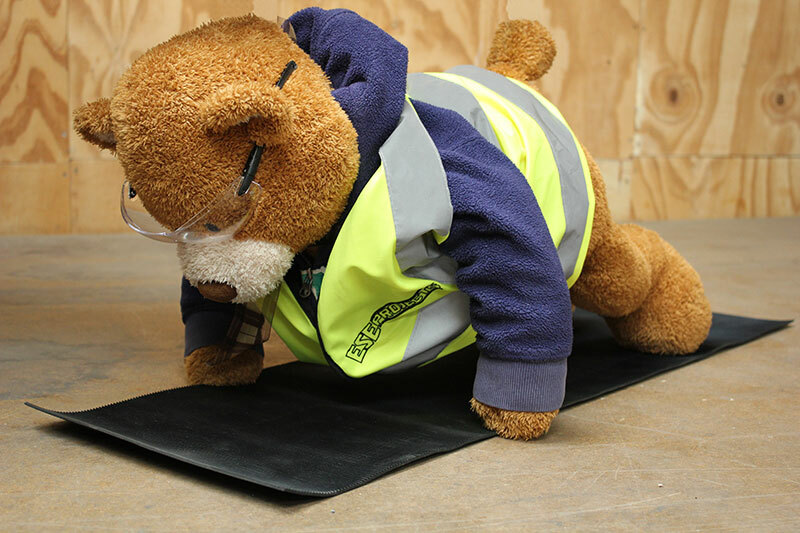 Just 10 minutes during your lunch or coffee break is enough to help let the stresses and strains of the working day feel less apparent. Find a quiet place (probably not best to do this amid a busy office, it's not massively relaxing and you'd probably get a few funny looks!) Assume Shavasana pose (that's the one where you lay flat on your back), palms up to the ceiling and breathe slowly and deeply in through your nose, out through your mouth, imagine yourself in a happy place and enjoy the floaty feeling. Practice this for just ten minutes and we think you’ll be surprised at just how much calmer your feel. 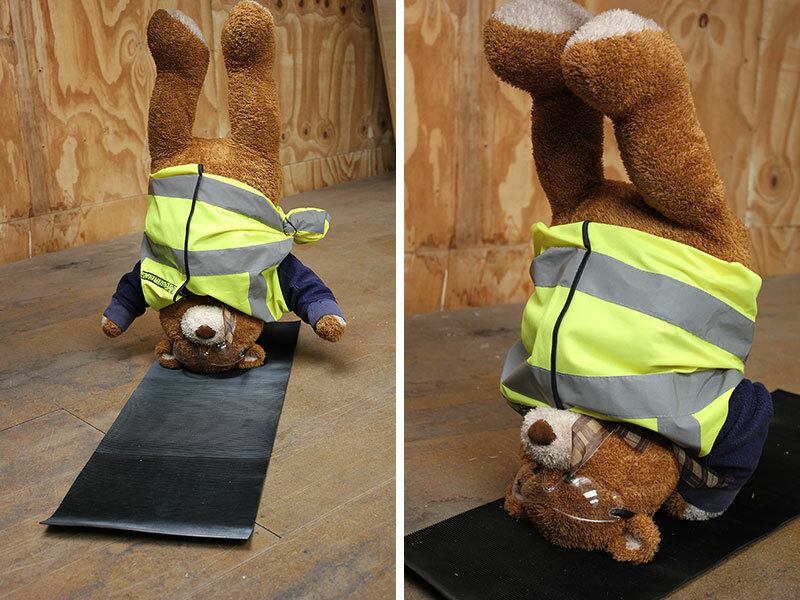 Below, Health and Safety Bear demonstrates a selection of yoga poses. 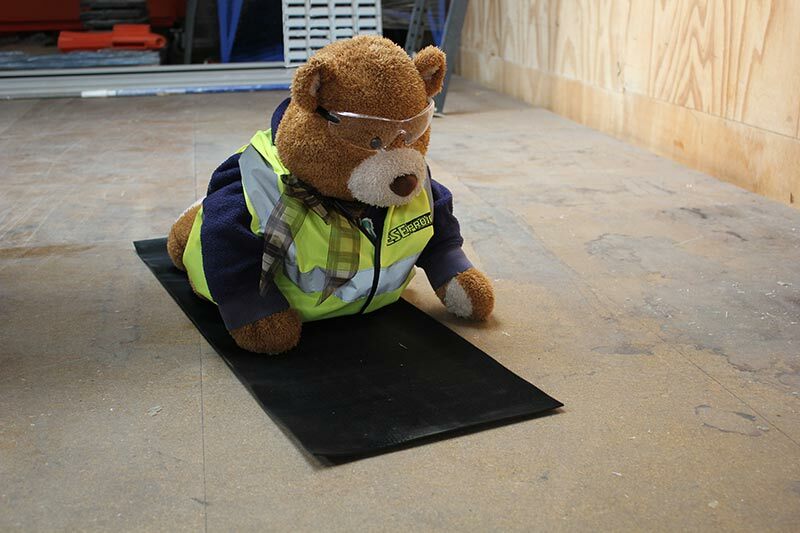 Being a bear among industrial products he uses some fine fluted rubber matting to cushion him from the floor. If you are fortunate enough to have the day off on Relaxation Day, make yourself a cuppa, grab a good book, put your feet up and relax. Have a long soak in a hot bubble bath, do something for you. And above all enjoy and RELAX.